The story of Detroit is a familiar one in American history. The manufacturing engine of America’s automotive industry, Motor City was once a symbol of the nation’s industrial might. It has now become a symbolic example of a city left behind by the shifting currents of globalization and the country’s gradual transformation from a manufacturing to a service-based economy. The city made headlines in 2013 when it filed for the largest bankruptcy in U.S. history estimated at $18-20 billion. Residents left in record numbers as infrastructure and public safety budgets were slashed. Between 2000 and 2010, Detroit’s population fell from 951,307 to 713,777. 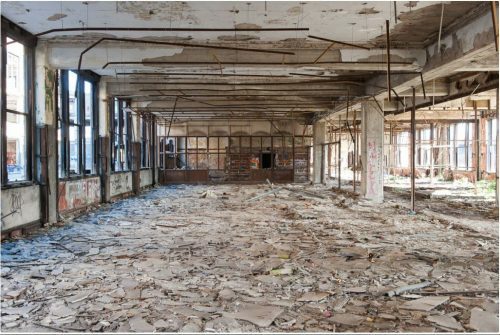 Detroit’s abandoned industrial plants are sometimes regarded as America’s version of ancient ruins. Remnants of a once powerful city. Fast-forward nearly ten-years since the Great Recession and the story of Detroit seems to be turning a new chapter. The city is now making efforts to revitalize hard-hit areas of blight and abandoned buildings. Since 2006, more than $24 billion has been invested in the city’s commercial, retail, and residential real estate. The largest of these is the former Packard Automotive Plant. After several unsuccessful bids by potential investors, the site was purchased in December of 2013 by Spanish investor Fernando Palazuelo under his holding company Arte Express for $405,000. In his own words, Palazuelo focuses on “cities with historic significance” and after developing internationally in cities such as Madrid, Spain and Lima, Peru, his ambitious redevelopment sights are set on the city of Detroit. 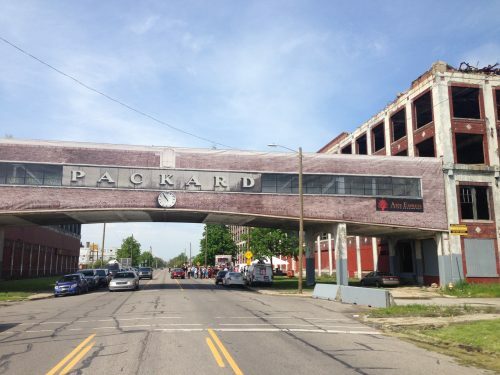 After nearly four years of discussions with the city resolving property tax issues and obtaining a clean title, the Packard Plant’s Phase One project finally broke ground in May of 2017. Arte Express has focused on restoring as much of the site as possible. Phase One will encompass the exterior restoration of the 121,000 square feet former Packard Administrative building, clean-up, and rebuilding of the interior’s planned office and retail spaces. Detroit previously held a global design contest titled, “Reanimate the Ruins”, but unlike the designs submitted by these architecture firms, Arte Express plans to keep the exterior of the building largely unchanged. In keeping with this focus, Arte Express has brought on the original firm Albert Kahn Associates as the architect. 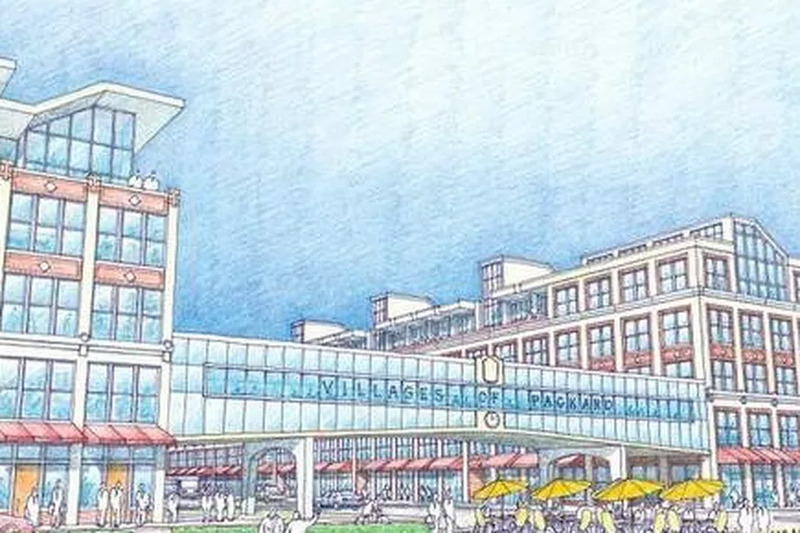 While a colorful rendering was released, it is still difficult to ascertain exactly what the final product will look like. The condition of the Administrative building’s structure is being discovered piece-by-piece during the clean up process. Several unchecked fires and years of scrapping and looting for wiring and steel support beams have turned the property into a delicate endeavor, asbestos clouds included. The price tag for Phase One is estimated at $16 million with Palazuelo privately funding the project through Arte Express. Aside from private equity invested, Phase One has received tax credits, tax abatement including a 12-year freeze on tax increases, a $300,000 loan from Wayne County, an $80,000 grant from the county, and will receive reimbursements for brownfield environmental cleanup totaling $5.2 million dollars over a period of years. The completion date for Phase One could be as early as spring 2019. Palazuelo’s goal is to develop the east-side of Detroit into a vibrant hub of commercial and residential activity. There are four phases planned to date, with as many as a dozen phases in total. Phase One is targeted for office and commercial space. Phase Two is designated for recreational use with plans for a racing track component that has yet to be reviewed by the community. Phase Three focuses on the growing art-scene in Detroit incorporating residential and retail on a five-story section of the plant. The plan includes live-work artist lofts, an exhibition gallery, and a restaurant on the ground floor. 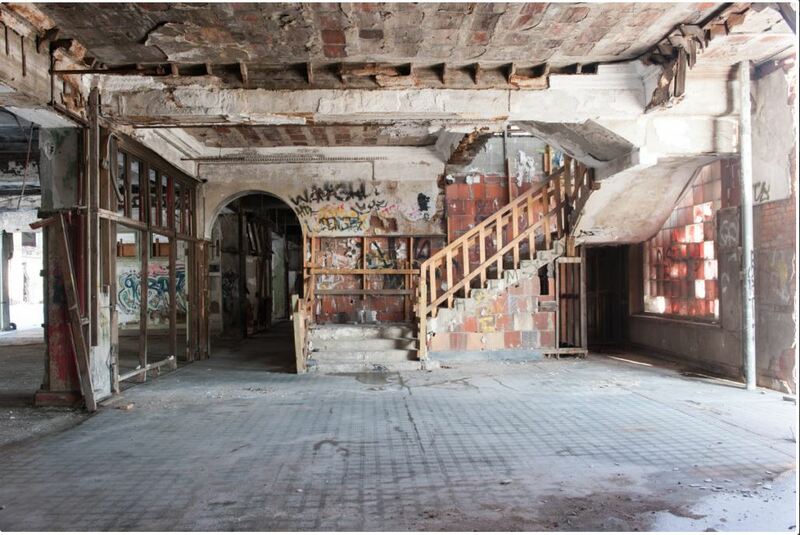 For Phase Four, Arte Express is in discussion with celebrity techno-club owner Dimitri Hegemann of Berlin on the ground floor of a seven-story building on the site. The building would also include a large hostel, a restaurant, and a European-style spa located on the top floor. 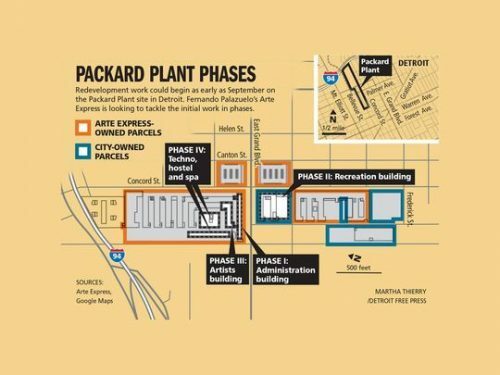 Future phases could include a boxing gym, a Packard car museum, light manufacturing and distribution facilities, and more residential units. The entire 40 acre project is estimated to cost the Lima-based developer over $420 million and has a timeline of 10-15 years. 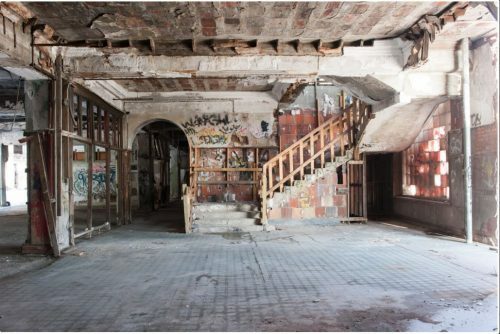 The Packard Plant has its share of skeptics. The former plant has seen two previous owners squeezed out of redevelopment plans due to financing restraints. Palazuelo filed for bankruptcy during the Great Recession in 2008. 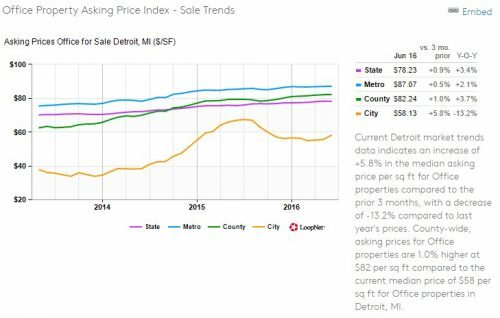 At the same time, while Detroit seems to be back on the mend, housing prices are still far under 2000 levels with nearly 36,000 homes set for foreclosure before the 2018 tax auction. Office property asking prices are still below county, metro, and state averages, and community safety issues continue to persist. 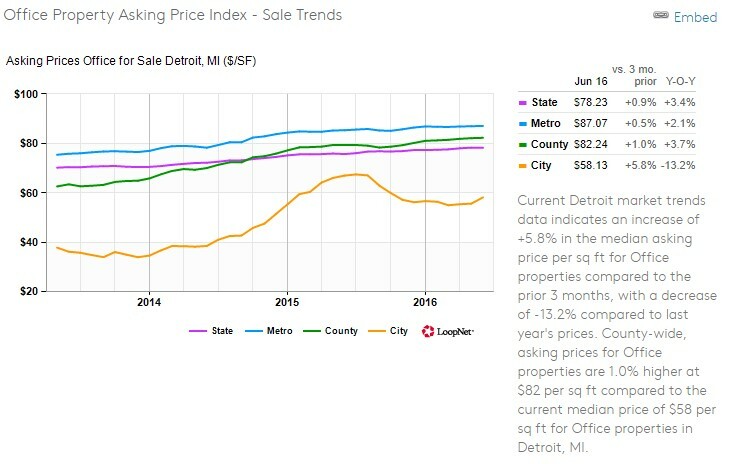 Source: Loopnet, “Detroit, Michigan Market Trends,” 2018. Nevertheless, the overall perspective on Detroit and the Packard Plant appears to be a positive one. Future space in Phase One is about 70% leased. Tenants include a security company, engineering consulting firm, job training program office, and a Lazybones Smokehouse restaurant. A brewery will be taking over a neighboring building on-site adding to Detroit’s growing beer scene. Growing domestic and international interest in Detroit is bringing billions of dollars to the city’s development scene. The next decade holds a promising but fragile recovery for America’s Motor City.